A long time ago…well May 24, 2016 to be exact, we first reported on a new puppet creature spotted on Dunmore Head, Ireland during filming for The Last Jedi. To refresh your memory or to check it out for the first time, you can find that article here! We have recently obtained additional photos of the complete creature, head and all, and had our good friend Eli Hyder aka Venamis create an art rendering. Check it out below, but be warned, it could be considered a minor spoiler, even if it’s nothing revealing to the film’s plot. Using our recently obtained photos which now include the head, Venamis was able to create this complete drawing of the creature in its setting. As far as the temperament of the creature, we speculate it’s likely not a threatening figure just from its shape and design alone: very round, lacking mobility, and likely operated by several puppeteers. 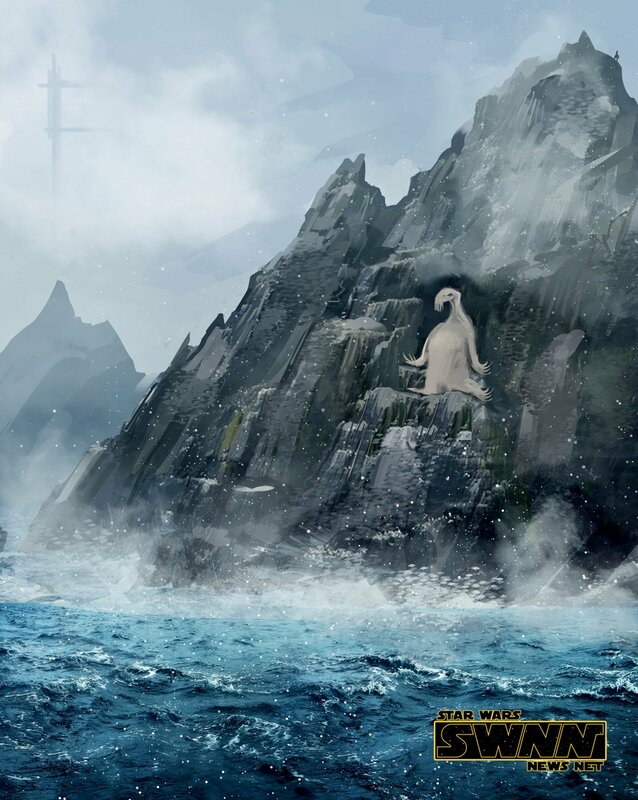 Yes, I know the Wampa was similar in that way, but at this point if Rey or Luke were to get into combat with a creature on the island, we anticipate something with much more agility and action, likely CGI or a CGI blend of some sort (as long as it’s not rathtars…please no more rathtars). Either way, we are happy to revisit this new creature we posted about over a year ago! As it comes more to life, so does the reality that The Last Jedi is getting closer. Whether it is a new integral character or a minor one, it’s exciting to see new fresh looking characters and creatures continue to make their way into the Star Wars galaxy. What do you think? Do you like how it looks? Do you think it will be a significant part of the film or more of a background figure like the happabore? Sound off in the comments below and head to the Cantina to let your voice be heard! You can find me on Twitter, which is canon, at @JohnnyHoey.